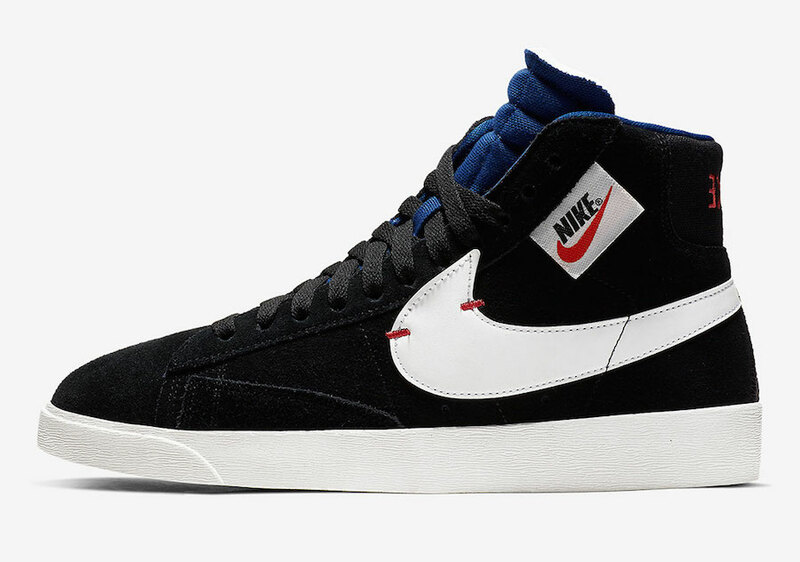 Nike expands their Nike Blazer Mid Rebel lineup with a new color way that sports dark tones to match the weather. 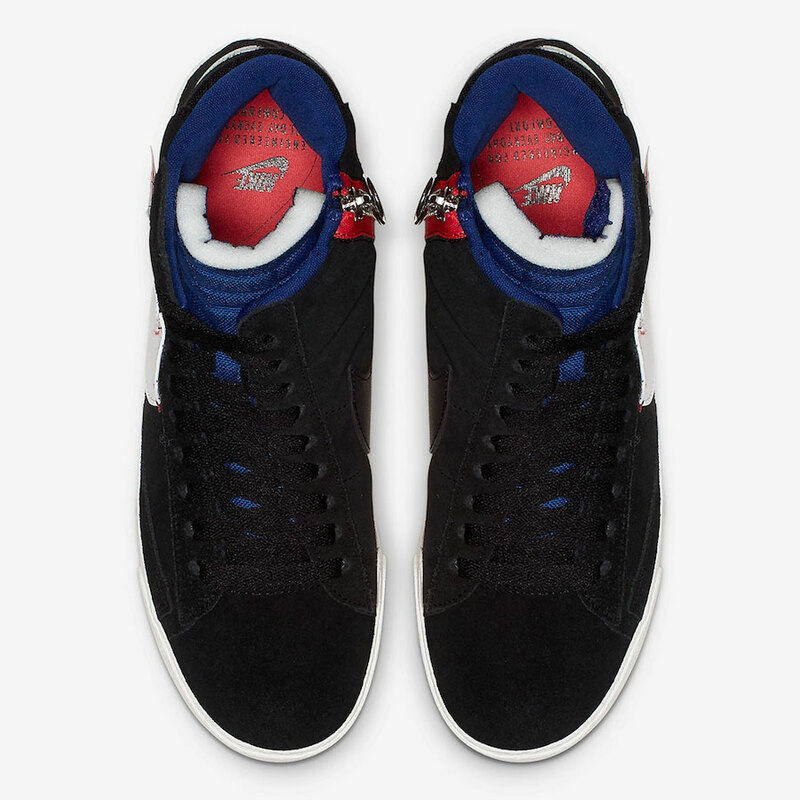 Featuring a Black-based suede upper with Red and Navy Blue accents on the tongue, medial zipper, lining and stitching. 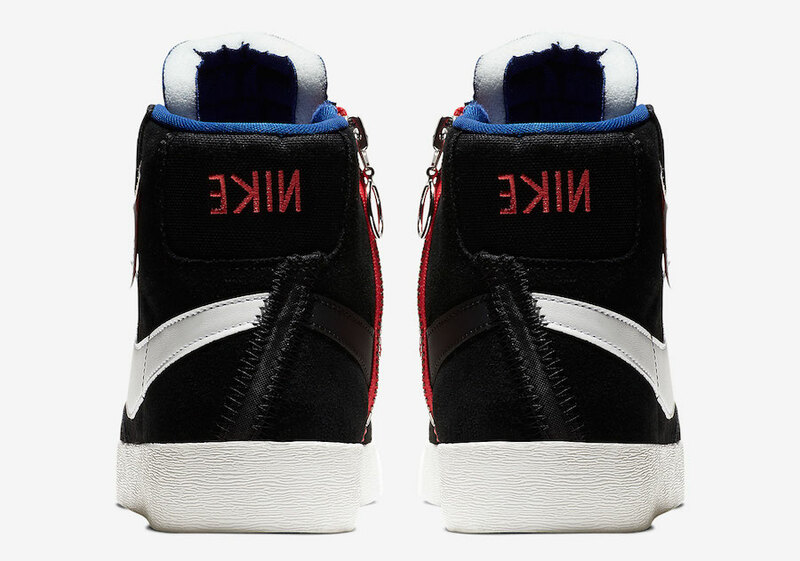 Two large Swooshes are seen on both of its sides with the medial Swoosh coming in Black and the lateral Swoosh coming in White with Red stitching. 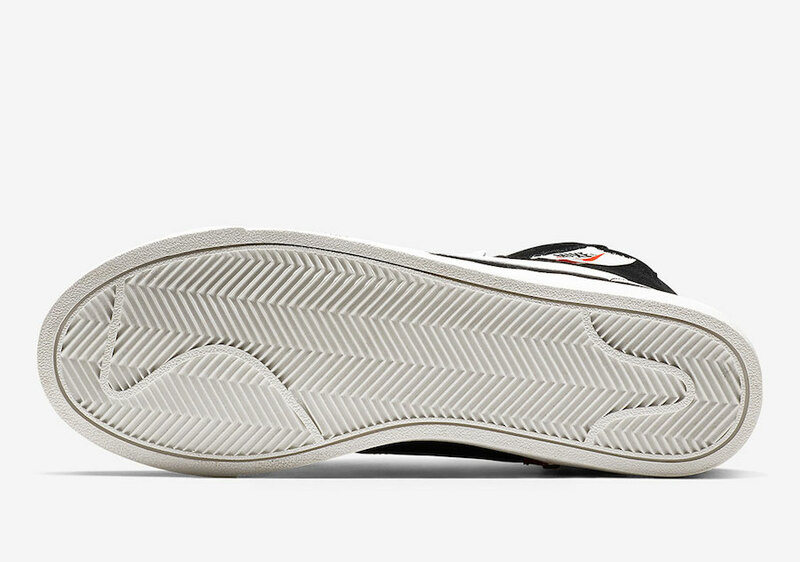 Completing the design is its White midsole and decon nylon and exposed foam tongue. 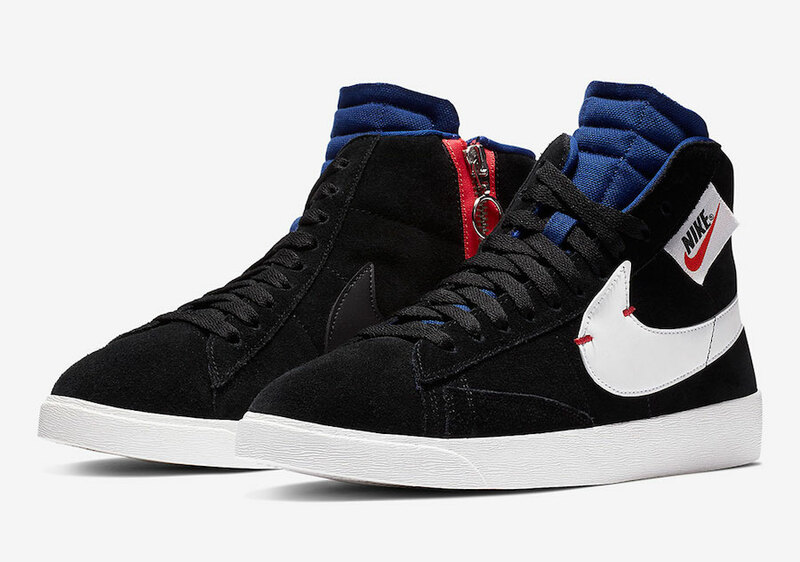 The Nike Blazer Mid Rebel is set to release in the coming days at select Nike Sportswear retailers and Nike.com with the retail price tag of $100 USD.